Thank you for offering to take part in my Slaydies Series Natalie! Can you tell us a bit about your Airsoft background? How long have you been airsofting? What got you into Airsoft and what do you love about the sport? Where is your home site? What are the most memorable sites you’ve played? Can you describe to us your playing style? My playing style actually depends on my mood and how busy a week I have had at work. Sometimes I like the hard and fast approach, other times I like to just mess around and have a giggle. Sometimes I will just access the situation and game play then get stuck in. I do prefer the hard and fast approach, call out enemy sightings, move as a team and move quick. My playing style also depends on who I play with as some people I work better with. The person I work best with is my fiancé, we call out to each other and move quickly. I've seen you rocking the FF26 Pink Storm in your Instagram photos, what would you say is your weapon of choice? And what loadout do you normally run? 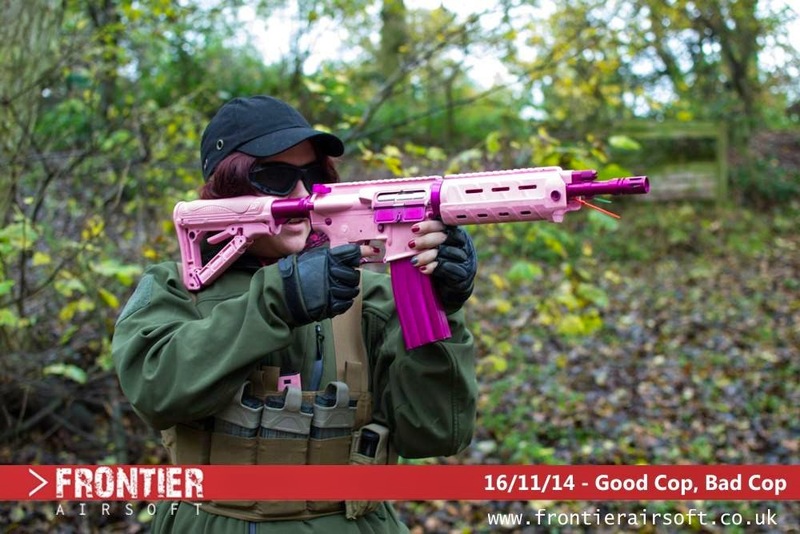 My weapon of choice is usually my G&G FF26 Combat Machine, electric blow back, also known as one of the Pink Storms. I also run a GHK G5 GBB. I have an M&P compact that has been custom sprayed baby pink with glitter (well I am a girl), that I keep in a serpa. I run MTP and CADPAT loadouts but mostly wear Coyote Tan trousers with my Frontier Marshals top with either a black hoodie or OD soft shell and my brown Haix boots. I use a basic chest rig, mostly use mesh goggles and when playing CQB or an upclose game I will also use a mesh half face protector. I also wear Mechanix gloves that are in pink, grey and black. What's it like being a woman in Airsoft to you? Do you feel you are treated differently because of your gender? If so, how do you deal with this? Yes I think I am treated differently sometimes. Some people have said they won't shoot at me as I am a woman, some have said don't swear as there are women about (I can cuss with the best of them) but I do think that compared to when I first started women are more accepted. At Frontier there are 3 regular female players, and two of these, myself included, are marshals. The regulars will happily laugh and joke with us and treat us no different to the lads, if anything they make a big fuss in a good way of us. If a person has a problem though or makes any bad comments then we just tend to show them that yes we are just as good or take them to one side and tell them how it is. If a male airsofter makes a comment about me or other girls it just makes me want to do better and prove that women are just as good. Can you tell us a bit about your social media? When did you set them up? What platforms can my readers find you on? I have had Facebook for several years and Instagram for like the last few months. It's mostly people I have met through airsoft and Frontier that I am friends with but I am more then happy to talk to anyone about airsoft. 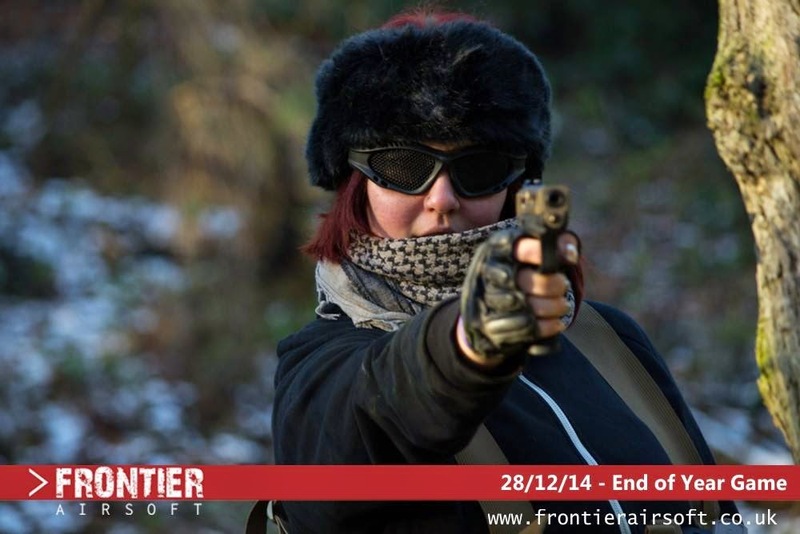 Find me on Instagram xo_nazzykins_ox or follow Frontier Airsoft on Facebook. Yes. Give us girls a chance! You can be any sort of girl and enjoy airsoft! 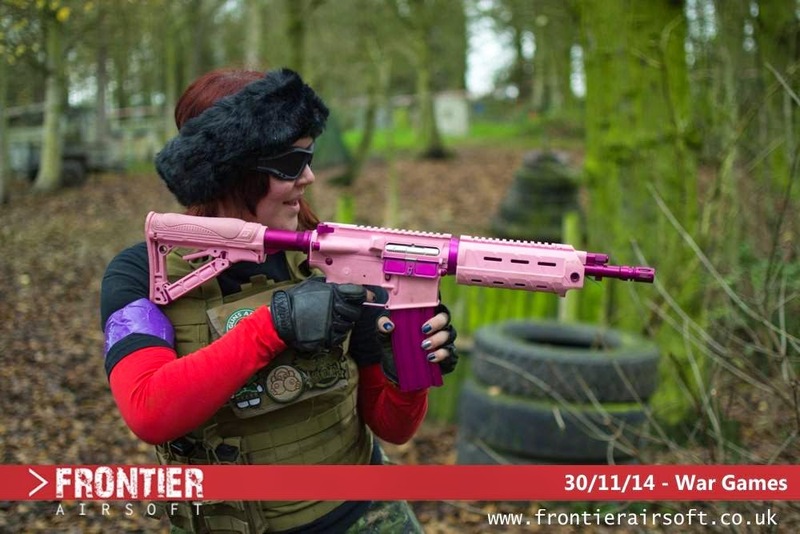 I like pink things, I like my nails to be done and I wear make-up to every airsoft event I go to as I like to look and feel good, doesn't mean I wont get down and dirty and covered in mud just as much as what you will. I will happily get into the middle of a fire fight, as a player and as a marshal. I try to encourage more women to get into airsoft and think that men should also encourage it more too. Airsoft is still seen as a mostly male dominated sport and yes it is. 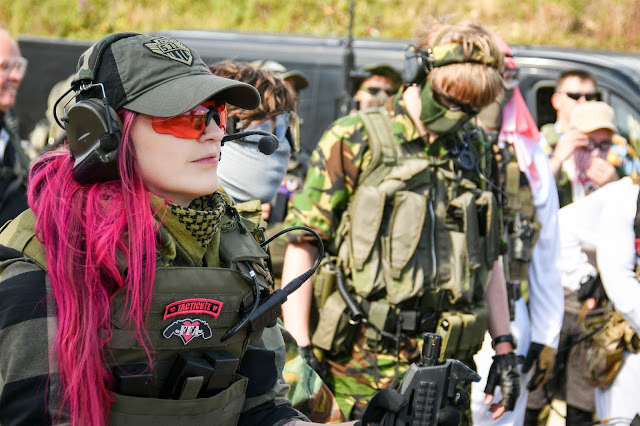 But where I airsoft there are 3 of us girls that are regular players, with one or two more becoming regular and I would love to see more girls there, maybe even set up my own all girls team. So before writing us off, give us a chance, watch how we work and how we move, we aren't just a bit of eye candy at Frontier, if anything we can be worse (or better) then the lads!